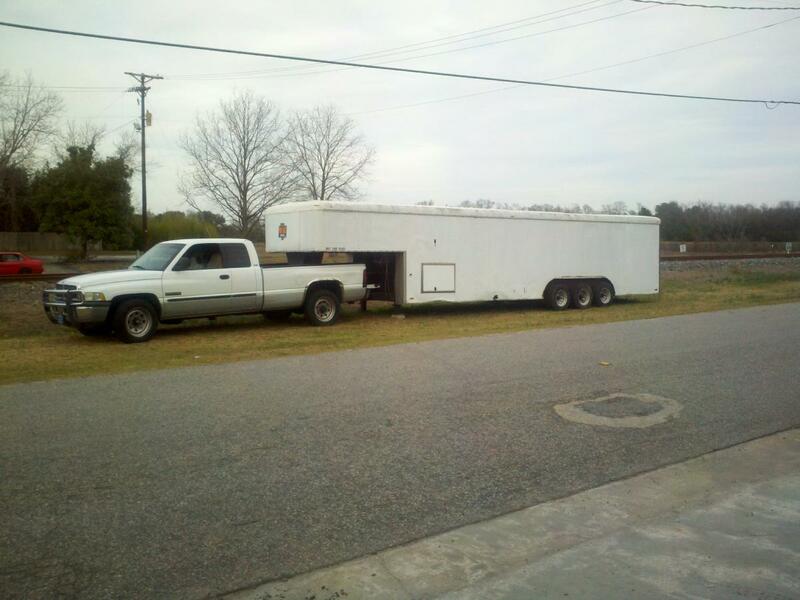 I am trading off my 92 D250 Cummins Turbo Diesel for a Gooseneck Enclosed 2 car hauler. Interesting. I'm looking at acquiring a car hauler myself. I'm thinking enclosed, big enough for hauling a Deuce (Chevy II) or an RX-7, and could serve as extra storage to free up some room in my garage. Wow. That's like what, about 2 feet shorter than a tractor pulling a 53' trailer? Oooh looks like my dodge, cept mine is green, and 4x4 and has different wheels. Actually, they are nothing alike. Nice trailer . How's the 24v cummins treating you? Well Firends Time To Say Goodbye..